Have Questions about Mods 2.0? Streamed by Reality Skewed Gamers, the panel includes the one and only Warrior, TMoney from Operation Metaverse, Jedi Master Adastra, and more! 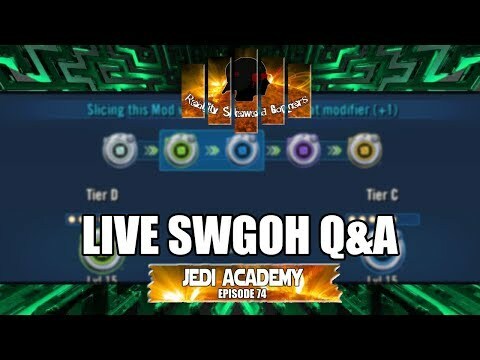 So join us at 10am US Eastern time and for about 2 hours we will answer your questions regarding mods 2.0, SWGOH, and we even answer some unrelated questions (time permitting)!